First Appearance: Captain America (vol. 1) #217 (Jan. 1978): "The Search for Steve Rogers!" 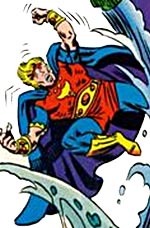 First Appearance (Additional Details): (as Marvel Boy) Captain America (vol. 1) #217 (Jan. 1978): "The Search for Steve Rogers! 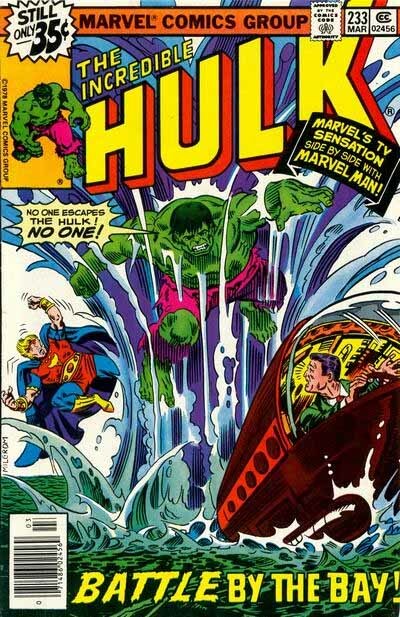 "; (as Quasar) The Incredible Hulk (vol. 2) #234 (Apr. 1979): "Battleground: Berkeley!" 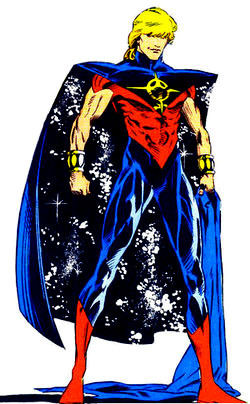 Although now better known as the cosmic super-hero Quasar, Wendell Vaughn first appeared in Captain America (vol. 1) #217 as "Marvel Boy," a member of the SHIELD Super-Agents. Other members of the team were Blue Streak, Texas Twister and Vamp. This was a relatively short-lived team. It was disbanded in Captain America #230 after it was discovered that it had been infiltrated by agents of the nefarious secret organization known only as "the Corporation." The Avengers (vol. 3) #47 (Dec. 2001): "In the Heart of Battle"
Captain America (vol. 1) #217 (Jan. 1978): "The Search for Steve Rogers!" Captain America (vol. 1) #218 (Feb. 1978): "One Day in Newfoundland!" Captain America (vol. 1) #230 (Feb. 1979): "Assault On Alcatraz!" Captain America (vol. 1) #379 (Nov. 1990): "Moonstruck"
Captain America (vol. 1) #395 (Dec. 1991): "Rogues in the House"
The Defenders (vol. 1) #62 (Aug. 1978): "Membership Madness!" The Defenders (vol. 1) #63 (Sep. 1978): "Deadlier by the Dozen!" The Defenders (vol. 1) #64 (Oct. 1978): "D-Day!" Fantastic Four (vol. 3) #46 (Oct. 2001): "It's Too Late to Stop Now!" Guardians of the Galaxy (vol. 1) #60 (May 1995): "What Child is This?" The Incredible Hulk (vol. 2) #234 (Apr. 1979): "Battleground: Berkeley!" Marvel Team-Up (vol. 3) #13 (Dec. 2005): "Titannus War: Part Three"
Marvel Team-Up Annual #5 (Nov. 1982): "Serpent Rising"
New Thunderbolts #11 (Oct. 2005): "Purple Reign, Part Two"
Starblast #1 (Jan. 1994): "Once in a Blue Moon"
Starblast #2 (Feb. 1994): "Crossing Guard"
Starblast #3 (Mar. 1994): "A Whole New Universe"
Starblast #4 (Apr. 1994): "The End of the World (As We Know It)"